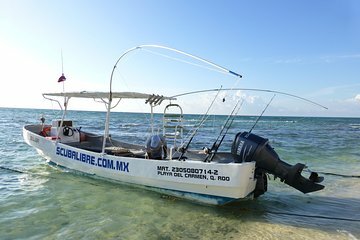 Get personalized attention and as little or as much instruction as you want while on this private fishing trip in the Riviera Maya. This charter ensures the best possible chance to catch Caribbean fish such as ladyfish, bonefish, trevally, king mackerel, and sailfish with a private guide dedicated just to you and your fishing success. All equipment and instruction is provided.